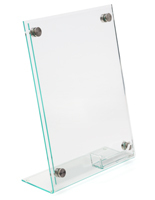 This acrylic display stand with standoffs for desktop has an angled back to make the image within the frame easy to view. 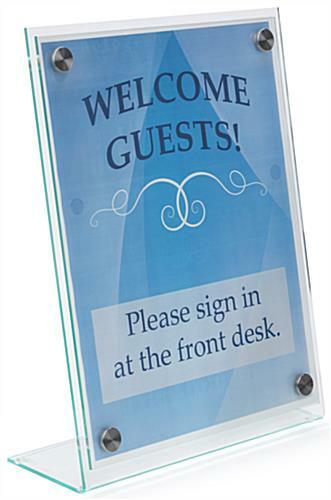 This retail sign holder comes with 3 frosted and 3 unfrosted plastic film sheets for creative messaging. 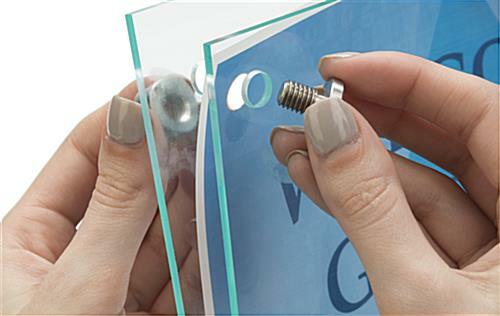 Download the design templates below for a fun and easy DIY advertising. 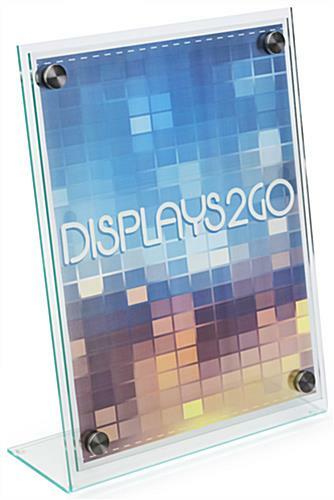 The table top display stand with standoffs for desktop measures 9"w x 12"h x 3.3"d overall, with a viewable area of 8.5 x 11 for custom images from your printer. 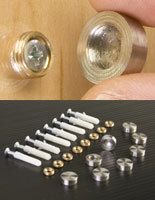 Front loading countertop frames are secured with binding screws (supplied). 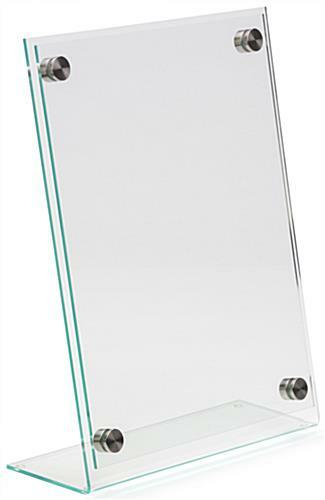 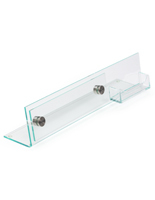 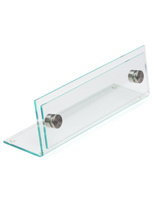 This clear acrylic display stand with stainless steel standoffs has a green edge and is designed for portrait orientation. 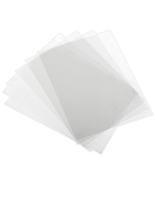 8.3" x 11.5" x 3.3"